The MTX Freedom PCB is a full replacement for your Liteon DG-16D4S Drives PCB. It is 100% compatible with 9504, 0272, 0225, 1071 and 0401 DVD firmware revisions. The MTX Freedom is completely solder-less, and can be installed without the need of solder tools or special equipment. The addition of an External Programmer ensures also that you will never have to open again your Xbox360 to re-flash your drive with an updated firmware. Using the Freedom Manager Software you are now able to switch from your original Firmware to a custom firmware with the click of a button. A feature that NO ONE else can offer you in the market. 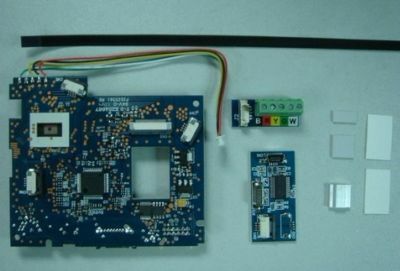 · One Matrix Freedom PCB. · One PCB for solder less installation. · One Black FCC cable to connect the Freedom PCB to the External programmer. · One Aluminum heath sink. · Two Thermal Rubber pads.